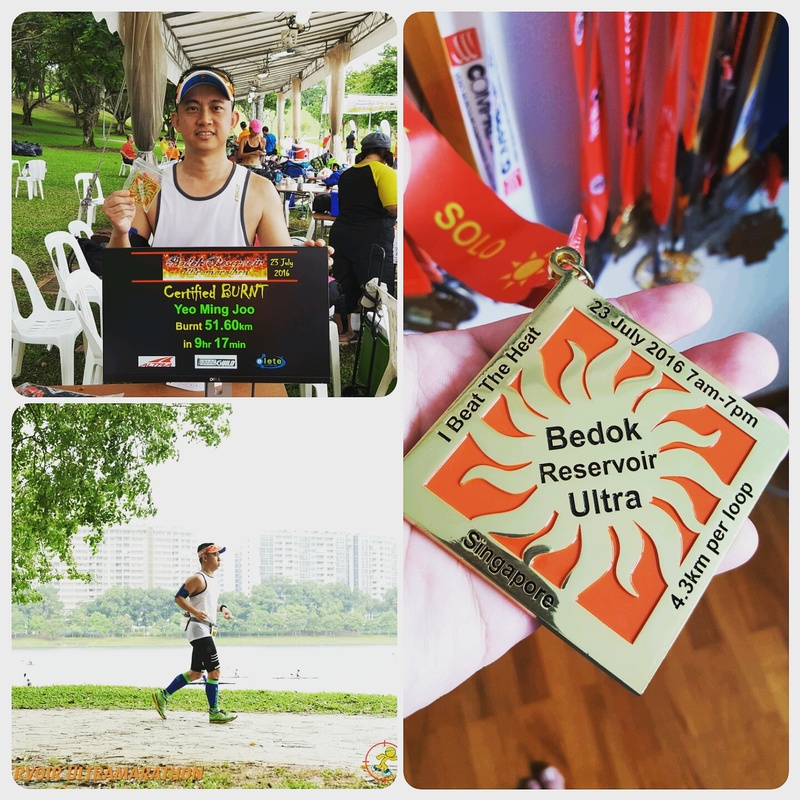 Race Review: Bedok Reservoir Ultra-marathon 2016 [51.6km] (by MJ) | JustRunLah! I must have been mad to even register for this in the first place! Could it be mid-life crisis? Probably so. Or maybe a sense of adventure? 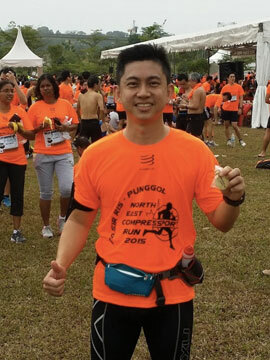 To start off, I was not exactly a seasoned and competitive runner, having taken up running again from mid-2014 onwards (a break of probably more than 8 years) for health purposes. To motivate myself (to earn all the nice medals), I participated in a few 10k, half-marathons and a marathon race. But having registered for the ultra-marathon, I pushed myself to train harder. 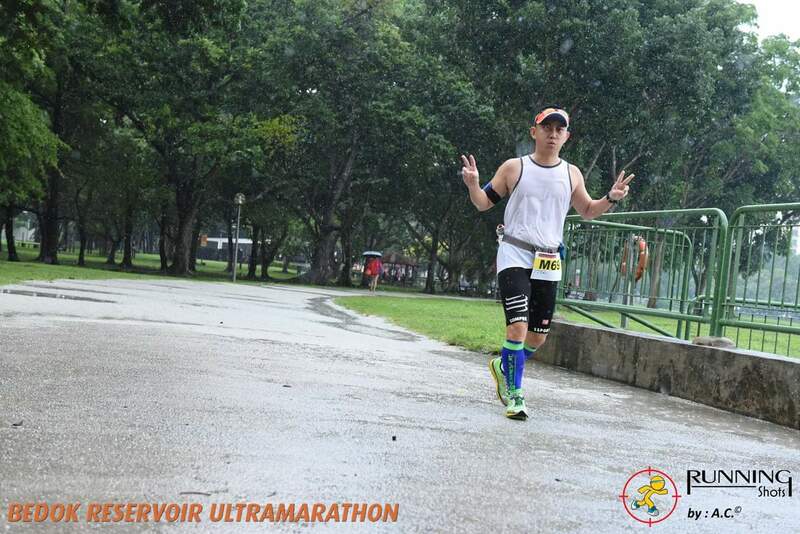 In the two months leading up to the 23rd July 2016 ultra-marathon, I had increased my weekly mileage to 40 – 45km, which was about all the limited time I could spare, besides juggling with work and family life. I even got myself a new pair of racing sunglasses, presumably to shield my eyes from the sun during the ultra-marathon, since the race was to stretch into the late afternoon. I even planned how to tackle the 12 rounds (each loop 4.3km), along the lines of four phases consisting 3 rounds each, with a break in between each phase to recover my breath, rest my legs and refuel. The day finally came. I was extremely excited as I made my way to Bedok Reservoir at 6am in the morning. The last time I ran at this location was in 2014, at the Tampines Run 10km. So I was not exactly unfamiliar with the terrain. I recalled it was mostly sandy trail round the reservoir. Not exactly fun to run on as the little rocks and sand will try to sneak into your socks and shoes! 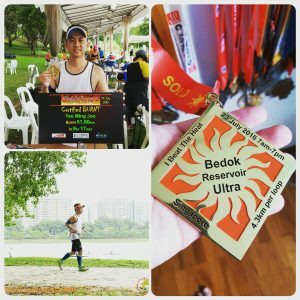 When I reached Bedok Reservoir, there was already a small crowd of runners gathering, collecting their bibs, race singlets and preparing themselves. The atmosphere was jovial. I placed my special needs bag at one of the tables and checked through the items: 10 packets of GU gel, a 2L bottle of Pocari Sweat sports drink, sun screen spray, extra socks, etc. Thereafter, all of us took a group photograph before being flagged off at 7am sharp. Adrenaline was pumping through my veins as I started out on my 1st loop enthusiastically. But I managed to calm myself down and slow down my pace to a mere jog to conserve energy for the remaining 11 loops. Somewhere through my 4th or 5th loop, it had started to rain rather heavily. 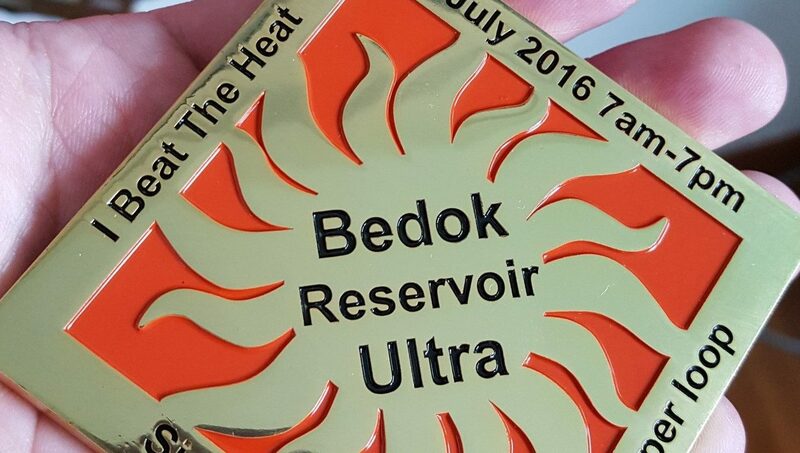 I thought this benefited the runners as we do not have to contend with the searing hot Singapore weather. At the end of my 6th loop, I saw my wife and kids waiting by the starting point. They were there to support me. I was very touched and happy. I took a photograph with my family, before going off on my 7th loop. During the 7th loop, the rain ceased and the sun came out. The sudden change from a cold morning to a hot late morning/noon did made a great difference! The hot sun started to take a toll on me as my pace started to slow down considerably. My legs also started to show signs of muscle cramps and I had to rest longer than expected at the start point for every subsequent loops. I must say the food spread provided by the organizers was good, i.e. bananas, bread, cup noodles, biscuits, watermelons, etc. I had a good time gobbling down bananas, watermelons and chocolate wafers! Going round in loops around the reservoir could really drive one crazy. Especially if it took hours to do so. It really requires plenty of physical and mental strength to complete this ultra-marathon. While the early afternoon was hot, towards the end of my final 12th loop, dark heavy clouds gathered once more at the reservoir, providing a cool environment to run in. I think this helped a lot and I managed to cross the finishing line at 9h 17mins with a distance of 51.6km. With my shaky legs, I happily waddled over to the registration table to collect my medal and took a standard victory photograph, posing with my hard-earned medal. This ultra-marathon was a very wonderful experience for me, in terms of realising that I could push my limits to complete one and showing me that nothing is impossible, so long one’s mind is strong and focused on the objective. Would I take part in another ultra-marathon? I do not know. All I want now is to have a good rest before thinking about the next race. And also many thanks to Running Shots for taking so many nice pictures during the race. 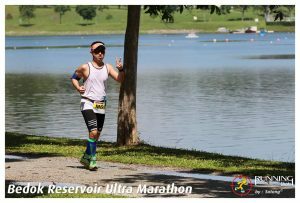 I appreciate the efforts as these photographs captured wonderful memories of my first ultra-marathon.